New hotel development as the center of Osaka`s next decade developments, opportunistic project in the rapidly growing tourism sector in Japan. 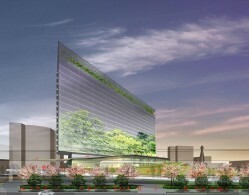 Last week, Amidst Osaka’s movements to attract Japan’s first Integrated Resort as well as World Expo 2025, Osaka City has announced Hoshino Resorts – one of the leading Japanese hotel companies was selected for their hotel development for Shin-Imamiya – South Central Osaka, scheduled to open in March 2022. This new landmark hotel will have up to 600 rooms. The development will be in South Central Osaka, an area that is not high end, but located in Central Osaka, having direct access to all the tourist destinations city has to offer. This project will be the ignition of regenerating the area and Osaka City as a whole – Similar to the reinvention of the meatpacking district as well as Union Square in NYC, and Shoreditch in London. As such, we see a lot of up-side in the area, specifically ignited by this project, and predict this to be a great opportunistic development. Osaka City has been attracting a large number of hotel operators targeting both business travelers and tourists. With the close access to both Kansai International Airport and Osaka International Airport, Tsutenkaku Tower and Abeno Harukasu, the tallest skyscraper in Japan, the number of travelers to the Osaka area has been increasing. The government is formulating a bill (a bill stipulating regulations and others related to casinos lifting) that will pass at the end of this year legalizing Integrated Resorts. The Governor Ichiro Matsui in Osaka Prefecture has made clear in an interview with Business Insider Japan that if IR implementation law can be done this year it will be able to partially open the IR around 2023. Osaka is one of the top candidates for Japan’s first Integrated Resorts, and is also seeking to host the World Expo in 2025. The number of foreign tourists who have visited Osaka has had a record high for four consecutive years since 2013. According to the statistics of the Osaka Tourism Board, Osaka welcomed 9.41 million tourists in 2016, 31% more than its previous year. In terms of increase rates, it has significantly passed Tokyo, whose number of tourists increased by 13% from last year. According to the data released by Osaka City, Hoshino Resorts tentative grand opening will be on March 2022. The regeneration of South Central Osaka will become the center of Osaka`s next decade for real estate and hospitality market growth. Hoshino Resorts is operating 36 properties around Japan and abroad. Asterisk and Hoshino Resorts are partnering for global projects, as specialists in each sectors – real estate capital and hospitality operations.